I'll admit that we don't tend to celebrate halloween much at the office, but of course we are asked to create some halloween features out of LEGO from time to time. Like this LEGO pumpkin monster... I've no idea who we got to model that one! Big pumpkins set us thinking though - what about those minifigs - where are they going to get their pumpkins from to carve? As luck would have it, it turned out that we had a pumpkin patch in our very own garden. Last month, Teresa build a LEGO model of a walled garden that you might have seen at The Great Western Brick Show in Swindon. That included a vegetable patch with a couple of growing pumpkins. 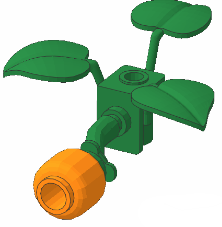 If you've ever wanted to add a few to your minifigs' garden - then this is one way of doing just that! And if you'd like to build a pumpkin like this yourself, then we've made a simple set of instructions to follow. 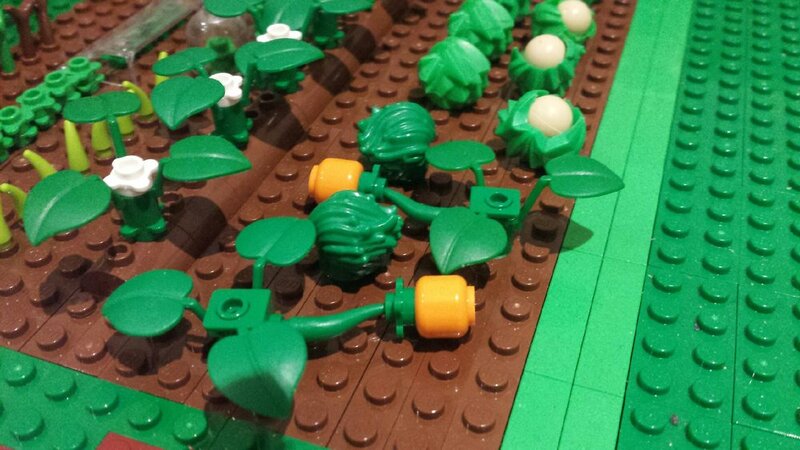 Just remember to make sure your minifigs tend to them to grow them nice and juicy! 'WONDERING' what to do for Half Term ? - Visit BRICK WONDERS of course !